This World of Warcraft Thrall Pop! 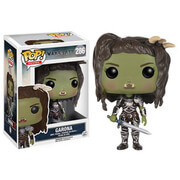 Vinyl Figure features the Warlord of the Orcs as a stylized Pop! Vinyl figure. !